Here's the fourth and final part of the drawing resources guide. Here are links to previous instalments. Part three: books, journals and magazines, TV, radio and video. This educational organisation and registered charity, founded in Hackney, London, by the Prince of Wales in 2000, aims to raise the profile and standard of drawing through teaching and practice. Now with five London campuses, it runs about 250 different courses each year, from classes for 10-18 year olds to an MA-level postgraduate programme, and international artists' residencies. It also runs events, lectures and free drop-in drawing sessions. These awards and competitions are open to anyone: subsequent touring exhibitions of selected and winning drawings can be an insight into current approaches. Selection is an excellent way to make contacts and network. The Trinity Buoy Wharf Drawing Prize, formerly the Jerwood Drawing Prize from 2001 to 2017, promotes and celebrates contemporary drawing and is the UK's foremost annual drawing competition. An exhibition of work by selected artists tours the UK after a launch at its East End headquarters. 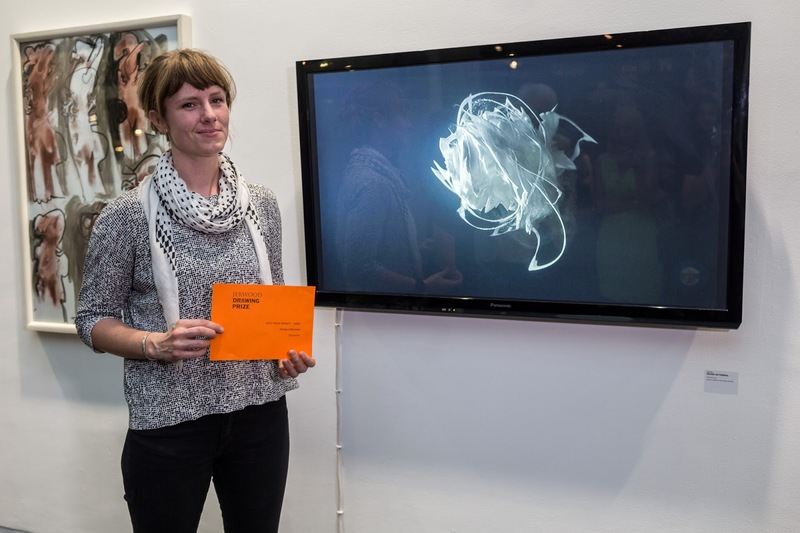 Image: Solveig Settemsdal, the winner of the Jerwood Drawing Prize 2016. © Hydal Dewachi. 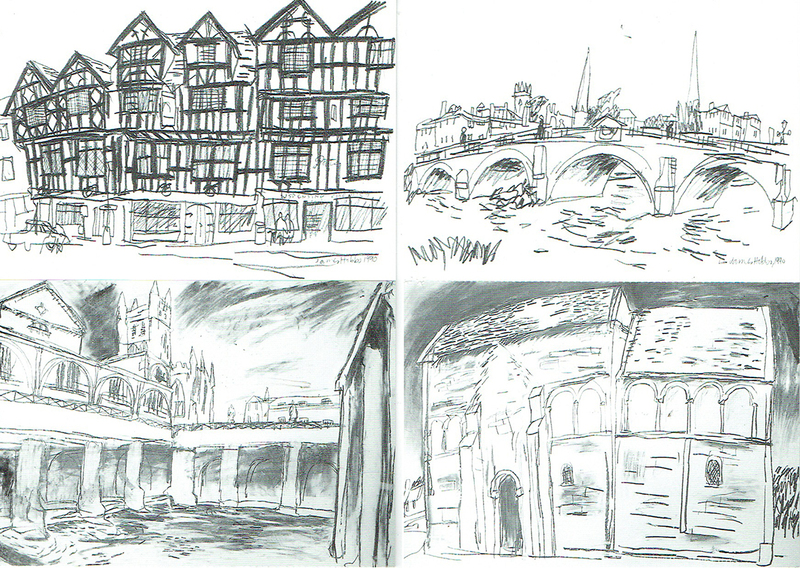 This relatively new prize (the 2017 edition was its the fourth) is organised by the Big Draw with the Guild of St George, upholding the artist and writer John Ruskin's belief that drawing helps people to see and understand the world more clearly. It is open to emerging and established artists over the age of 18, with an exhibition of shortlisted artists' work. The society was formed in 1898, and now has a membership of around 50 professional artists. It organises workshops, exhibitions, demonstrations and lectures. Its annual exhibition, through which members are selected, includes works in pastel, oil pastel, pencil, chalk and charcoal. A biennial international competition of sketchbooks organised by the Rabley Drawing Centre (see page 9), with the aim of generating an impetus for creative activity, and reflecting the experimental aspect of drawing as well as the ordinary and observed. Selected works feature in a touring exhibition. The SGFA was formed in 1919 to promote drawing, and remains the only national society in the UK dedicated to it. While retaining a bias towards traditional, monochrome work, the society does accept more experimental work and that using colour. With more than 100 elected members, the SGFA has an open exhibition, regional exhibitions across the UK and publishes an online journal. There is still a wide range of independent art materials stores on high streets, despite the shift to online shopping. Drawing materials tend to be small and light, and ideally suited to postal delivery. This short list focuses on stores with online and high street presence. As the UK's largest art materials store, Atlantis has a wide range of materials aimed at the professional artist, of which there is a large but falling population in east London. The store's noticeboard is an excellent source of contacts and items on sale. Cass Art has 12 shops across the UK, and an online next-day delivery service. Stores host events and workshops, and a blog features the works of established artists and illustrators. The drawing section of the website carries a wide range of media and surfaces. Predominantly an online store, but with a large, recently opened retail outlet in east London, Great Art stocks around 50,000 products, including an extensive range of drawing materials. An online store, with a print catalogue and three stores – two in London, and one in Gloucester. Jackson's drawing materials are searchable by medium and manufacturer. Its blog features artist interviews. Follow me on Twitter @jameshobbsart.